This Aug. 29, 2017, file photo shows crew members aboard a Royal Caribbean International cruise ship. A federal jury says Royal Caribbean Cruises owes $3.38 million to the family of a passenger who died during an Alaskan cruise. The jury returned its verdict Thursday in Miami federal court. Court records show Richard Puchalski was with his family on the Explorer of the Seas in 2016. A civil complaint says the 70-year-old Wisconsin man visited the ship's infirmary with shortness of breath and later collapsed after being treated and sent back to his cabin. The complaint says the ship's medical staff made errors that led to Puchalski's heart attack being fatal. Jurors found Royal Caribbean to be 70 percent at fault for the approximately $34,000 in medical expenses and $4.8 million in loss of companionship and pain and suffering. 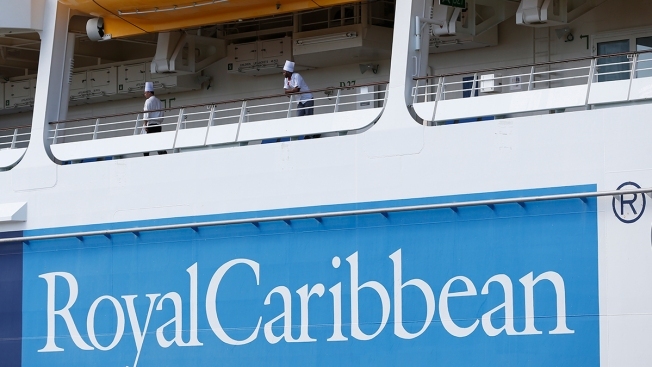 Royal Caribbean representatives say they plan to appeal the decision.